Dr. James Fields high-fiving Emma Coburn (left) and Colleen Quigley (right) at Hayward Field in Eugene, OR, after they qualified for the 2015 World Championships. The 1989 World Veterans [Masters] Championships at Eugene was the first well-publicized steeple race for women to be held in USA. 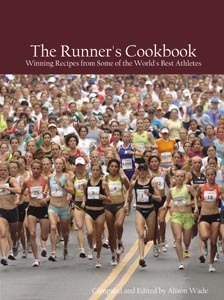 I saw that race and began coaching some runners at the university where I was a journalism professor. A few years later USATF championships began including women's steeple -- initially at 2000 meters which was then the global standard. Some persons lobbied successfully for increasing the USA distance to 3000 meters and IAAF followed that lead a few years later. That emphasized the need for a Women's Steeplechase Report which I began in 1996 while living and officiating in Eugene, Oregon. Mt. SAC Relays and the USATF championships were initially among the rare USA opportunities for women steeplers. So Steeple Report was initially focused on promoting the event by publicizing meet additions via a calendar of coming events. The best USA women also raced in Europe and Australia. The event's 2001 NCAA adoption greatly increased domestic competition opportunities -- and made results the major focus of Women's Steeplechase Report. In 2005 women's steeplechase was added to the World Championships meet and the partnership of SR with Ann Gaffigan’s "Steeplechics" website began. In 2008 the event was included at Olympic Games in Beijing which I attended Some of my track associates then expected that my steeple pioneer role was done and I would return full time to an earlier project -- writing a track history book for which they had provided some content. However, I continued with Steeple Report even as its subject expanded globally, increasing the hours required to research and produce each issue. This issue, number 700, is my last Steeple Report after 21 years of free SR results. I will continue updating USA all-time lists and some other content for Steeplechics website. I have continued research for my 1500m steeple list, finding even shorter races such as 1000m steeplechase. I can also provide more photos for Steeplechics. In 2004, after the women's steeplechase was a final-only exhibition for the last time at the Olympic Trials (as it would be added to the 2008 Olympic program), I decided to reply to one of Dr. Fields' Steeple Report emails and ask him if he had ever thought about publishing and archiving his Steeple Reports on a website. From there, a working relationship grew as I developed steeplechics.com and he continued his work curating results and sending them to me to publish on the site. As an athlete in a new event for women, it was so inspiring, especially in earlier years, to see results from all over the world that we otherwise would not have heard about, with it being such an under-the-radar event. Even today, I love to peruse the results and see which countries are finally "allowing" women to compete and to see those women improve each season. On behalf of all of us who have benefited from Dr. Fields' diligent work producing the Steeple Report over the years, I want to thank you so much for your support of women in steeplechase. And I personally want to thank you for your friendship!